Infosys announced that it has made an investment in Trifacta, a leading provider of data wrangling software that enables non-technical users to easily transform data for analysis. Shardul Amarchand Mangaldas & Co acted as legal counsel to Future Consumer Enterprise Limited in relation to the private equity investment of USD 45 million by Black River Food 2 Pte. Ltd. The transaction has been closed following the approval by the Competition Commission of India. NEC Corporation and the DMIC Trust have established a joint venture company, DMICDC Logistics Data Services Limited, for providing logistics visualization services in India. NEC and DMIC Trust will each hold 50% of the joint venture’s total capital of approximately 8 million Indian Rupees (INR). Veeam Software, the innovative provider of solutions that deliver Availability for the Always-On Enterprise, announced that the company will expand existing storage integration to include Nimble Storage as part of the new Veeam Availability Suite version 9.5, to be released later this year. Kodak Alaris announced its participation as a gold sponsor of the Kingdom Smart Government Meeting taking place on May 9th-10th, 2016 at Al Faisaliah Hotel in Riyadh, Saudi Arabia. Executives from Kodak Alaris will engage in discussions with CIOs and IT managers of government agencies participating at the event and provide insights into how digitisation of information is the first step towards digital transformation and laying the foundation for smart government initiatives in the Kingdom. In 2000, WIPO's member states designated April 26 - the day on which the WIPO Convention came into force in 1970 - as World Intellectual Property Day with the aim of increasing general understanding of IP. World IP Day offers a unique opportunity each year to join with like-minded individuals and business entities from around the globe to consider how IP contributes to the flourishing of digital content, including music and the arts, and to increase the pace of technological innovation across the globe. Infor has reiterated its commitment to the healthcare industry by announcing significant investments in the Infor Cloverleaf Suite. Infor Cloverleaf is a market leading, enterprise-caliber integration engine that facilitates the movement of highly secure data through disparate systems within and outside the healthcare enterprise. Can the appliances in your kitchen serve as your personal nutritionist? Not now, but soon, say experts. From your refrigerator to your car to your home thermostat, different appliances and objects are getting smarter and connecting to the Internet and each other -- and this is starting to change the way families across the country are living. Ingenico Group deployed, jointly with its local partner Tracom, a Revenue Collection solution in the County of Nyeri in Kenya. This initiative was sponsored by Equity Bank and reinforces the emerging cashless-based culture by collecting County fees such as parking, land rates, business permits, market stall fees through electronic payment. Its benefits include stronger accountability for funds collected and effective cost reduction thanks to a fully electronic process. Chief Minister Vasundhara Raje took part in the first Digital Classroom of CISCO Networking Academy in Anta, Baran. In a multi node Video Conference, Chief Minister Raje interacted with students of ITI, Anta, ITI, Varanasi, CISCO Headquarters in Bangalore, Chief Minister’s office in Jaipur and JDA. 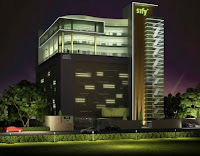 Sify Technologies, a company of Managed Enterprise, Network, IT and Software services in India with global delivery capabilities, announced its consolidated results under International Financial Reporting Standards (IFRS) for the fiscal year 2015-16. VirtusaPolaris announced the launch of VirtusaPolaris BankConnect. The solution, powered by Adobe Marketing Cloud, is designed to create more personalized customer banking experiences across authenticated bank environments. enNext Hub, a Reliance Industries Ltd. backed startup program headquartered in Mumbai, entered into a partnership with Invest Ottawa for creating a bridge to engage innovative startups from India and Canada. The spirit of the partnership and collaboration is captured and signified through an MoU, which includes co-branding, events invitation and information sharing. The 2-year MoU was signed in Mumbai by Mr. Rajan Luthra on behalf of GenNext Investment Advisors LLP and Mr. Bruce Lazenby, President & CEO, Invest Ottawa, in the presence of Mayor of City of Ottawa Jim Watson, Canadian Consul General in Mumbai Mr. Jordan Reeves, other guests and dignitaries. Zuver is a start-up, mobile app based company with a unique selling proposition – a service that promises a reliable, skilled, well-trained ‘driver on demand’ at your doorstep. Zuver is the German term for “reliable” which is exactly what the brand believes in. COAI on Wednesday requested the Department of Telecommunication (DoT) and the Telecom Commission to implement a uniform SUC charge across spectrum bands for the industry. Currently, different SUC rates are applicable for spectrum assigned at different points of time. The new norms are expected to bring uniformity and introduce a level-playing field. Technological innovation and the emergence of the millennial generation are closely entwined. Few superlatives can accurately sum up the sheer extent to which technology has fundamentally altered the way we live and work, both as consumers and businesses. What we can say is that millennials (those born in the 1980s or 90s and ‘came of age’ in the new millennium according to Pew Research) have been exposed to modern technology for most of their lives and are accustomed to a mostly digital world. Their career aspirations, attitudes to work, and knowledge of tools, apps and services increasingly define 21st century workplace culture, and thus have a knock-on effect on how HR and recruitment departments engage with millennials currently in (or entering) the workforce. Winjit, the award winning technology solutions provider with more than 10 years of experience in enabling Innovative Tech solutions for organizations across the globe has further cemented its Global Network of Delivery centres by opening an office in the US. MapR Technologies, Inc., provider of the industry’s only Converged Data Platform, today unveiled at Strata + Hadoop World the Converge Community. Immediately available to everyone, including the more than 50,000 participants of the MapR On-Demand Training program, the Converge Community offers public online assets that enable Hadoop and Spark developers, data analysts, and administrators to engage in technical discussions and share expertise that furthers the advancement of the big data community as a whole. A majority of respondents worldwide (54 percent) indicated they might be willing to share their personal data collected from their smart home with companies in exchange for money, and 70 percent agree that companies should give coupons and discounts to customers in return for data about device usage, according to a survey of global consumers sponsored by Intel Security. The survey also found that 77 percent of respondents believe smart homes will be as common in 2025 as smartphones are today, but 66 percent are also very concerned about smart home data being hacked by cybercriminals. Dassault Systèmes and Geometric announced that they have reached an agreement whereby Dassault Systèmes will acquire full ownership of 3DPLM Software Solutions Ltd. (3DPLM), its joint venture in India with Geometric Limited. Samsung India Electronics announced the launch of the Samsung Galaxy J3 featuring the S bike mode, an industry-first dedicated feature for two-wheeler riders that is designed to enable responsible and tension free riding. 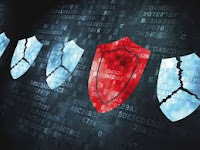 In response to the urgent need in the market for a mechanism to assess the level of exposure to cyber risk in organisations, KPMG in India has launched ‘Cyber KARE’, a tool, aimed at empowering senior management to self-asses cyber threats and gauge their current level of preparedness to combat them. When Mukund Mudras ditched his well-paying day job to set up Heckyl Technologies, a real time data analytics company, in 2011, he never dreamed the company would become one of the hottest players in the world of FinTech so quickly. 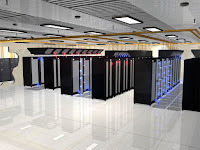 451 Research projects the global colocation market will reach $33.2bn by 2018 in its latest quarterly Datacenter Knowledgebase (DCKB) release, which tracks nearly 4,800 datacenters operated by 1,286 companies worldwide.